This is my go-to oil for when my skin is feeling extra dry in the winter. 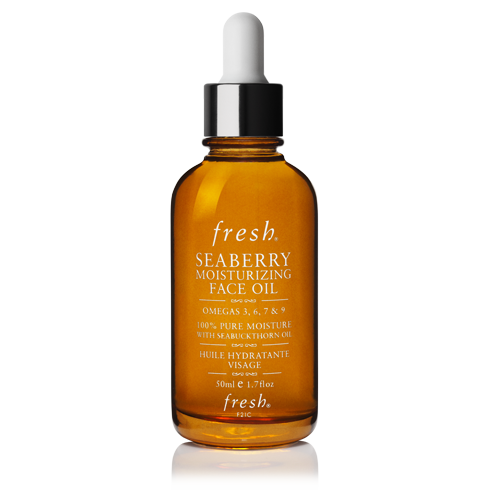 Packed with antioxidants and omegas, seabuckthorn oil nourishes the skin more deeply than a moisturiser. I slather my face in it every night and wake up glowing! When to use: Nighttime, last step in your skincare routine. How often: Daily/when your skin needs extra TLC. After venturing into the world of facial massage I came across this cool little tool! Made of pure jade crystal and shaped to fit around the contours of your face, it’s the perfect tool to use with your serums/oils to de-puff and increase blood circulation to the skin. This cleanser pretty much ticks all the boxes for me: it’s gentle, super hydrating and comforting. It never leaves my skin feeling stripped or ‘tight’. I promise you if you have normal/dry skin like me this one’s for you!